David Rennie, Head of Industry Engagement for the Identity Assurance Programme, explains how public and private sector organisations are taking a practical approach to exploring different aspects of the identity assurance market. GOV.UK Verify uses private sector services to verify users’ identity details. The market is evolving rapidly as new technologies and capabilities emerge. We work with industry through the Open Identity Exchange to explore how these capabilities can be applied to meet user needs. When the Industry Engagement team meets a private sector organisation for the first time, there is a degree of explanation to be done about what GOV.UK Verify is and why a federated approach to digital identity is needed. But our aim is to move quickly from talk to practical collaboration with organisations who see the benefits that an open identity infrastructure can bring. We joined the Open Identity Exchange (OIX) in 2012 as a mechanism for dialogue and collaboration with the market of suppliers to run in parallel with our contractual relationships with GOV.UK Verify certified companies. GOV.UK Verify is being designed to meet the current needs of users of digital services on GOV.UK. But these needs change as the market evolves, new technologies are adopted and users adapt their behaviour to take advantage of developments. Discovery and alpha projects conducted under the OIX rules allow competitor organisations to work together to address some of the complex issues that this constant evolution reveals. The goal of all members of OIX is a market focused on user needs and based on open, interoperable standards so that users have genuine choice and control. Identity service providers compete on the quality of their service not on their ability to ‘lock in’ relationships through proprietary standards. Transparency is important in achieving these aims. OIX holds public meetings every two months to report on ongoing projects and those that are complete and to discuss new issues that members want to address. OIX publishes a White Paper on each project that is conducted on its website. 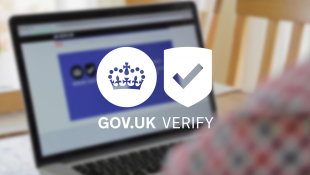 As GOV.UK Verify’s public beta improves and expands over the next 9 months and beyond, the concept of federated digital identity will become more readily understood by users and private sector organisations. Over the last 3 years the number of projects conducted through OIX UK has grown and continues to do so. As a consequence, OIX UK is undertaking an exercise to restructure itself to cater for the needs of its users, the market, and for practical collaboration. The next OIX UK meeting is at the Barclays Accelerator on 15th September. Please register here if you’d like to attend. If you are interested in knowing more or joining OIX then please email Sue Dawes.